As part of the large Texas Giant upgrade, an additional ten feet has been added to the drop as well as making the drop a whopping 79 degrees. You beat me to it! I saw this on the news last night. I'm suprised they are changing the track layout. This was only supposed to be a safety update (after last year's accident). Its good to see the park putting good cash into improving attractions. Apparently, this will be opening next year during the 50th aniversary celebration. Yeah, it's great to see this coaster being upgraded. Depending on how this all turns out this could be one of the best wooden coasters around. Its no longer a wood coaster, its now a steel coaster. "Worlds steepest coaster". Lol, what a lie. Mods could you please change the title of the thread. Thank you! EDIT: then would that void the record then? Because there are definately steeper steel coasters out there. Would this be the steepest drop on a coaster with a chain lift? What's the angle of the drop on Millennium Force? And Six Flags even has coasters in their own chain that feature steeper drops. X2, Deja Vu, & Kingda Ka just to name a few. Always fun to watch the Six Flags PR Spin. I think we have already had this discussion. Even though it won't be a strictly wooden coaster, it isn't a tubular steel coaster either. And it still will have wooden supports. 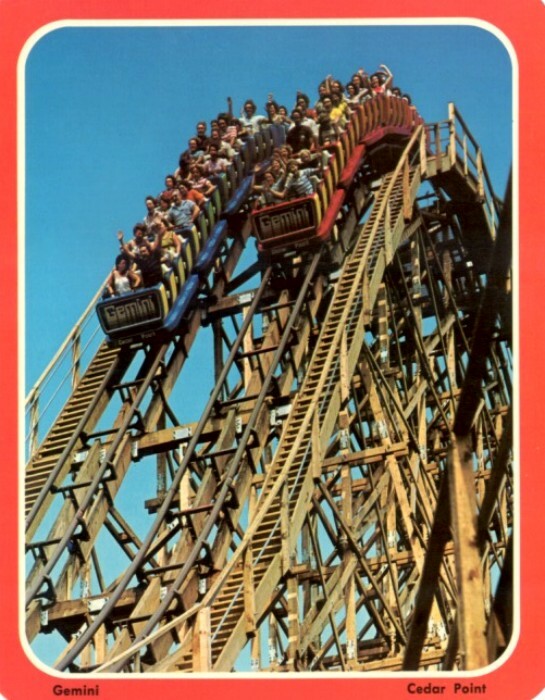 So they can still call it a "wooden coaster" because a significant portion of the ride is made from wood, and most people won't know any better. In terms of where it stands, its not fair to compare it to real woodens or tubular steel coasters like the ones y'all have mentioned. It's a hybrid.. that's what it is. It's been done before.. Exactly. But most people, if asked, will call these "wooden coasters" because they don't know any better. Therefore, Six Flags can say Texas Giant is the steepest drop on a wooden coaster, they just aren't saying what they mean by wooden coaster. A lot of people don't call El Toro a "true woodie," just because the track wasn't authentically created by hand and on-site, considering how perfectly smooth the tracking is, but the track is wooden, so it's a wooden coaster. Most of the bickering that will rise amongst this sort of issue are going to come from enthusiasts. Really? That's cool, though I'm not a fan of ACE.